Home > News & Events > Willow Springs is Ready for the Souper Bowl! Willow Springs is Ready for the Souper Bowl! Can YOU help us end hunger? Then come down to Willow Springs! We’re proud to be a Souper Bowl donation location. 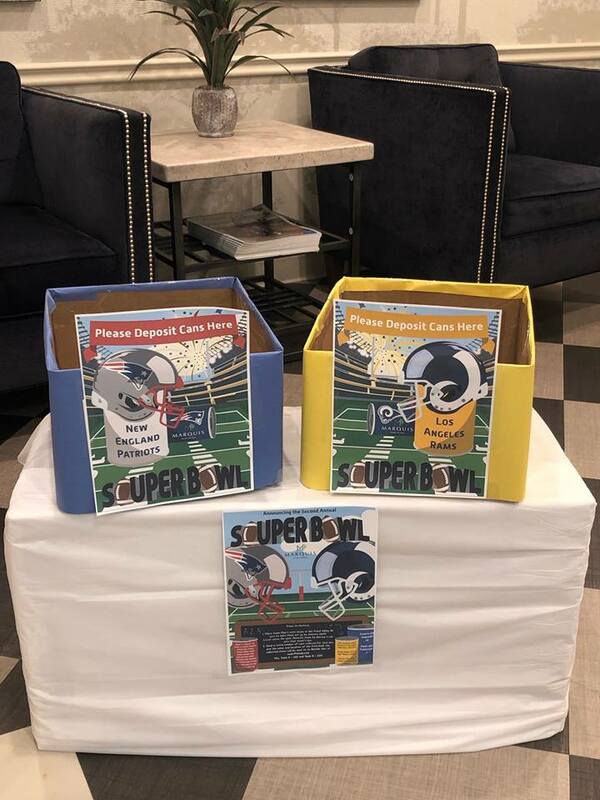 Just bring in your canned food items and place them in one of our boxes to vote for which team YOU want to win this year’s Super Bowl! We will be collecting items until February 3rd. All donations will be given to our area’s local food bank.